As a general dentist in Redwood City, Dr. Fong treats patients of all ages with multiple types of dental concerns. Since 2002, Dr. Fong has worked to educate his patients on preventive dental care that includes both teeth and gum related health problems. 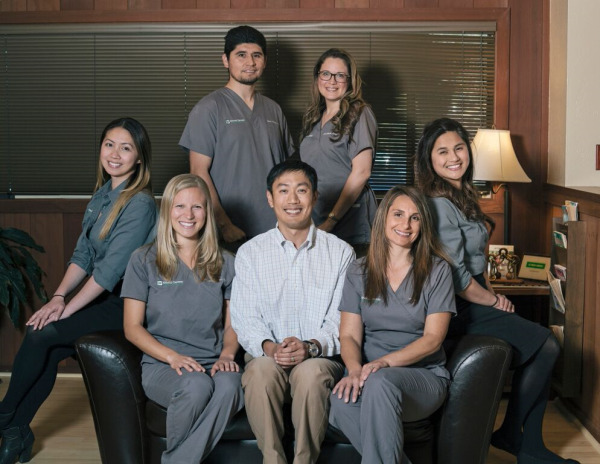 Dr. Fong utilizes his knowledge and passion for advanced technology and together, with his amazing staff, they create a gentle and caring environment to build trusting, long-lasting patient relationships. Dr. Brian W. Fong is dedicated to caring for his patients’ overall oral health. Dr. Fong has invested his time and resources into creating a high-end office to provide state-of-the-art dental procedures. Our goal is to provide patients with beautiful cosmetic restorations and improved function through comprehensive dental services. This investment gives patients the benefits of procedures that optimize their oral health. New! Dr. Fong has the new Sirona 3D Cone Beam SLAi imaging unit from Sirona that has groundbreaking 3D technology to provide comprehensive treatment options for optimal results. He uses this technology, in addition to LED lighting and 8X magnification dental loupes and the highest resolution Schick 33 digital sensors to detect problems that would otherwise go unnoticed. This powerful combination of technology helps provide unparalleled diagnostics and leads to the highest level of care with more accurate and predictable treatment outcomes. Our Redwood dentist offers a wide range of cosmetic and family dental care services to meet all of your needs. Whether you are looking for a general dental check-up, cleaning, or dental implants, we offer individualized, unique treatment options to help you achieve a healthy smile. Dr. Fong is focused on long-term health benefits and treats patients to quality care that improves the function and beauty of their smiles. Contact our Redwood City office and schedule an appointment today! With over 100 five star reviews on Yelp, Dr. Brian Fong is the highest-rated dentist in the Bay Area. Over the last 16 years, he has created beautiful smiles for patients in and around Redwood City, including Menlo Park, Atherton, Belmont, San Mateo, Palo Alto, San Carlos and San Francisco. Thank you for visiting us today and we look forward to taking care of you soon.